I know it’s Monday, and I usually post a Motivational Mondays Post, but I think this will suffice as something that should motivate you. I have hopes that it will motivate you to learn about eating disorders and help bring attention to the severity of eating disorders. This week (February 24 – March 2, 2013) is National Eating Disorder Awareness Week. The aim of NEDAwareness Week is to increase awareness and education about eating disorders and body image issues for effective recognition, early intervention and direction to care. This year the focus is that we all know somebody who is suffering from or has suffered from a clinically significant eating disorder. Contrary to many peoples’ beliefs, eating disorders are serious illnesses, not lifestyle choices, and they can be life-threatening. It’s important that we take the time to get to know the facts, and I will touch more on those later this week. Today, I want to touch on the fact that everybody knows somebody. Today’s post is a personal one that stemmed from a meeting at the office earlier this month. If any of you know me personally, you know that I work in the insurance industry and are probably wondering how that could relate at all to eating disorders. This meeting was different. It started out all business but quickly turned into a personal character-building type of meeting. My boss decided that it was time we played “Who do you admire, and why.” I work with a bunch of females, so let’s just say that by the end, most of us were reaching for the tissue box. There are many people that I admire. My wife for her passion, her hard-working nature, and her ability to give so much for me and our family. My dad for his unconditional loving ways. My mother-in-law for her absolute strength to hold her family together after such loss when she lost her husband. My sister for the ability to be a stay-at-home mom to 4 kiddos while her husband travels for work much of the time. My son for the ability to voice his emotions so clearly to me, no matter how sensitive they may be. And I have many friends who I admire for numerous reasons. But the one person who clearly stood out to me as everyone was taking their turn talking about who they admire and bawling their eyes out was my mom. She and I haven’t always seen eye-to-eye. From about the age of 13-18, and then again from about 25-28, things were kind of rocky for us. And I will admit that as a young child, I wasn’t able to understand a lot of things my mom did. See, she has also suffered from eating disorders her whole life. But as a kid, I didn’t always get it. I didn’t understand why some foods had to be locked up in our own box. I didn’t understand all the meetings she had to go to many evenings. I didn’t understand why she had to go away for (sometimes) long periods of time to “get help” from some center. I will admit that, at the time, it felt a little bit like abandonment. Now as I am older (and hopefully wiser), I am able to put the situation into a whole new perspective. 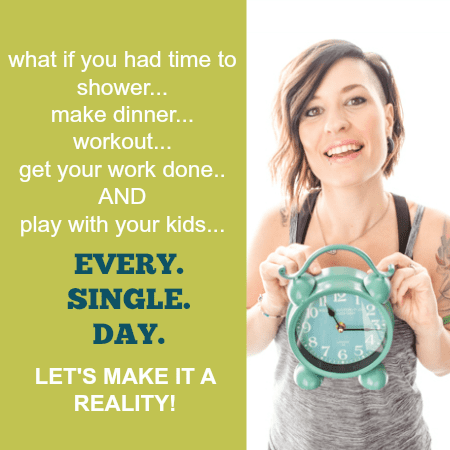 As a mom, I know just how difficult it can be to sometimes put yourself first when there are so many other tasks that need to be completed in your household. As a mother, your work is never quite done, and so many of us put off our own needs, just waiting for that perfect moment when there is no longer any work to be done. We try to act as though our needs are just petty and that they can wait. We worry that we will look selfish if we put our needs first. My mom is a strong woman and is full of courage. She had the courage to stand up for herself and make it known that in order for her to be a better wife and mother, she needed to get healthy. 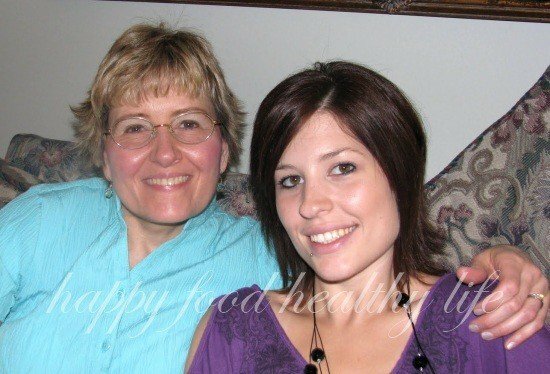 Talking about ones eating disorder can be very difficult and personal, and I admire my mother for having the strength to always be relatively open about her eating disorder with her family. That takes a lot of courage. If it wasn’t for my mom’s openness about her food issues, I don’t think I would be quite as open about my eating disorder as I am now. As soon as I realized that my issues were serious, I was quick to talk to people who could help me and guide me to a therapist. Granted, it still took years and years of figuring it out, but I truly think that if I hadn’t been so open about my disorder, I wouldn’t be in the positive situation with my health that I am in now. I admire my mom for having the courage to take charge of her life, no matter her age. (Don’t worry, Mom, I won’t give away any ages.) I’m sure it would’ve been very easy to just throw in the towel after struggling for so many years. Once all her kids grew up and moved home, you would think it would just be easier to fall into deep eating disorder habits, and it probably was. Yet she still had the strength to see that there is still a whole lot of life left to life. She saw that it wasn’t too late to make her dreams happen, and in order to do that, she needed to be healthy. I admire that my mom has been able to truly find her passions in life. She has finally been able to find that there is a life outside the confines of an eating disorder, and I am proud of her for that. I am happy that we are now on the other side of this disorder and are able to see the beauty that this life holds. I am happy that she understands the issues I have gone through and still struggle with on a daily basis. Although this isn’t something I would wish upon anyone, I am very grateful to have my mom to talk to about some of the big eating disorder issues I have dealt with. I am happy we’ve both come out of this battle alive – so many don’t. Not everyone is as open as my mom and I are about or struggles with eating disorders. It is likely that you know someone who is struggling with an eating disorder and could use a little help. If you know someone who shows the signs of having an eating disorder, please don’t hesitate to talk to them. Thank you, Mom! You’re truly an inspiration! do you know someone who has suffered from an eating disorder? thirty million people suffer from eating disorders … really an impressive figure! Thank you for talking about it! 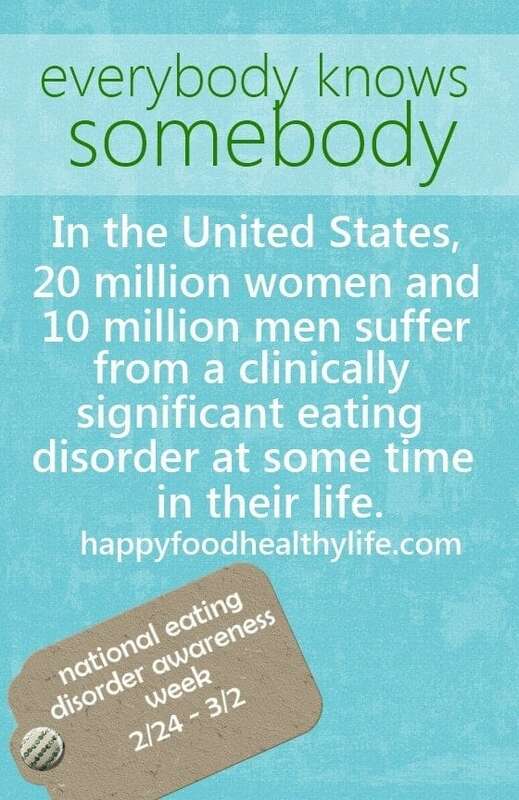 That seems like such a high number for eating disorders, but it is a real thing. I do not know of anyone for fact but suspect a couple people. It is a very saddening staggering number of people suffering. Thank you for coming by. Wonderful post and eating disorders really do need to gain more attention. This is a real disorder and people die from this every day. Thanks for posting. It's crazy and unfortunate that it's such a "taboo" subject that that people feel so ashamed and don't talk about it. My mom passed away a few years ago at the age of 48. She didn't die as a direct result of the eating disorder she had years ago but the autoposy did state she had erosion of the esophagus. Her eating disorder did play apart in her death and it is a shame people don't realize how deadly something like this can be. I am so very sorry for your loss Kristi. It's true, there are so many complications and problems that can occur because of the lack of care eating disorder sufferers give their bodies. 2 years into recovery, i still have some stomach issues that I'm sure are related to the years of hell I put my body into. Great piece Holly! I know you are helping sooo many people! Thanks for posting this, so glad someone got the facts out in the open. I think it's SO important to talk about. no more of this "hush hush" and shame. What a beautiful post! You are right, everyone knows someone. I know multiple people who have suffered from multiple types of eating disorders. It’s such a hard trial to overcome and sometimes it takes years and years of working on it to find a place where you can be stable. And sometimes people never do find the safe zone in their life to overcome the issues. It is definitely not a lifestyle choice, and I’m grateful for you point that out. This is a very important issue that needs to be addressed frequently. It’s true – there are many people who are never able to come to terms with their ED in order to live a healthy life. There is a lot of fear of letting go of something that is strangely so comfortable, as an eating disorder can be. I never really thought about it. Eating disorders are not discussed very often. It's one of those things that people forget exist because it's never out there. I'm not sure if I would even know if someone had an eating disorder. Thank you for sharing. That is a stunning picture of you and your mom. Thank you for the compliment on the picture. Very kind of you. See,that's the problem – so many people (30 million in the US) are dying this slow and silent death and no one seems to know. It's very sad that no one is talking about it. Why is that the case?? Something needs to change. And that's why I chose to use my voice as a recovered eating disordered person on my blog.